Alfonse confirmed for Dragalia Lost crossover! 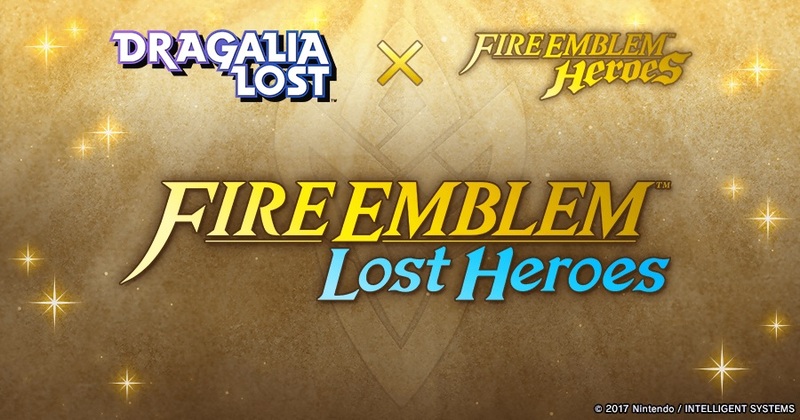 This morning, the official Dragalia Lost website released more details on the Dragalia Lost × Fire Emblem Heroes event, titled Fire Emblem: Lost Heroes! 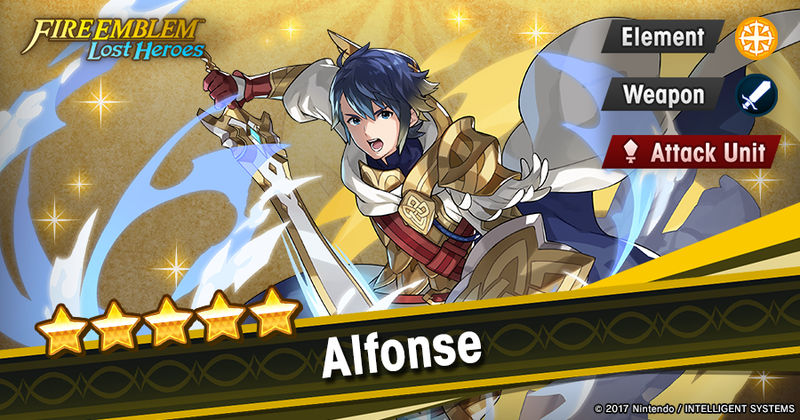 Alfonse is the first character from Heroes to be revealed in the crossover, and will be the first 5-star freebie within Dragalia! He’s an attack-type unit who uses swords and is of the Light element (weak to – and strong against – Dark element characters). Alfonse will be given out to all players who participate in the upcoming event. You must include him as part of your attacking team to raise your friendship with him. Once your friendship is maxed during the event’s duration, he will become a permanent addition to your roster, staying with you even after the event ends! 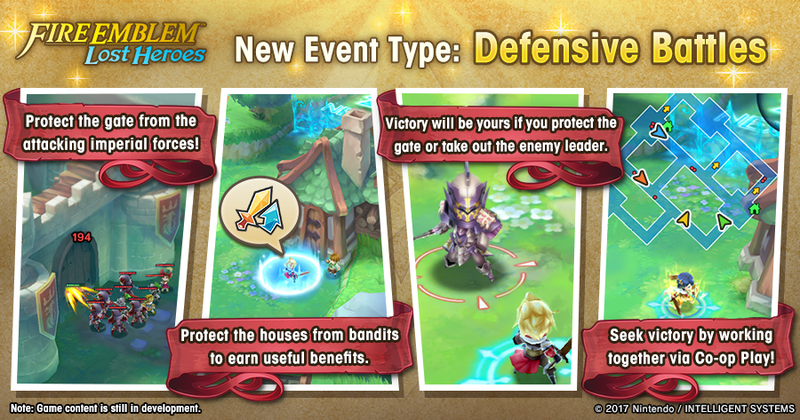 As for the event itself… Defensive Battles are a new game mode where you must work together with your allies to defend your castle gate against hordes of enemies. The event is slated to begin after the 3:00am UTC maintenance on the 26th of April, and will come to a close on the 14th of May, 5:59am UTC. 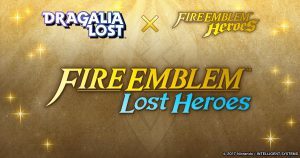 Last month, during Dragalia Lost‘s six-month anniversary broadcast, “Dragalia Digest”, a crossover with Fire Emblem Heroes was announced. Recently, the duration of this crossover was shared: 26th April to 14th May 2019. For now, that’s all the information we know. 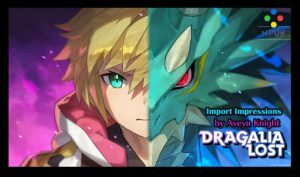 Unrelated to Fire Emblem, 26th April is also when Dragalia Lost is revamping its summoning system, following user feedback. From that date, Wyrmprints (cards/accessories) will be axed from the summoning pool, leaving only Adventurers (characters) and Dragons (to transform into). That’s not all as Golden Week is just around the corner, which usually equates to lots of gifts and incentives for players (as you may have experienced in Heroes already). So if you’re thinking of trying out the game because of the crossover, you’ll be starting at a really good time! For those not aware, Dragalia Lost is a fantasy action RPG developed by Cygames, who are perhaps most well-known for their free-to-play browser game, Granblue Fantasy. Many popular mechanics in Dragalia Lost made their start in Granblue, such as Adventurer Stories and special Gacha draws where you can choose a 5★ character of your choice. Many other gameplay elements, especially upgrading and uncapping mechanics, are similar to mechanics in Granblue, so there’s likely some inspiration. Additionally, Granblue is perhaps most well known for its Collaboration events, featuring crossovers with popular anime and game titles. Now Dragalia Lost can experience those, too! If you’ve got some spare time, we wrote a preview for the game for Nintendo Players UK. Likewise, we wrote some beginner and intermediate tips, which you’re welcome to bookmark if you ever decide to fire up the game. Also, to celebrate this rare crossover, we chatted to some fans–among our staff and the Fire Emblem community–who played both Dragalia Lost and Fire Emblem Heroes, to share their thoughts of the former. 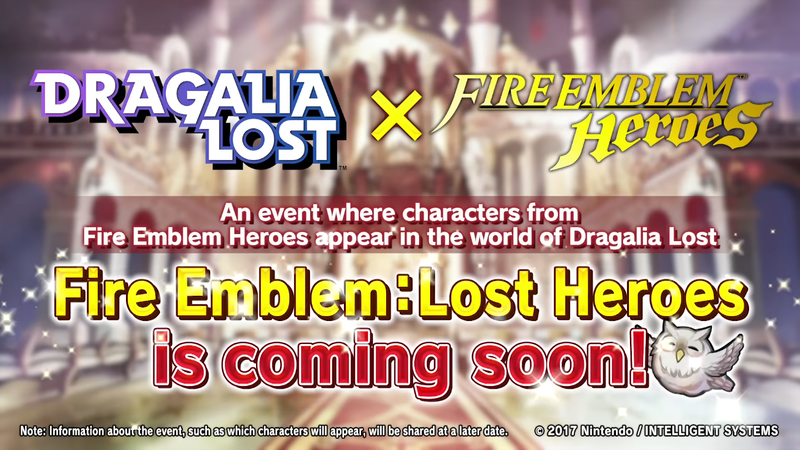 Heroes: Dragalia Lost × Fire Emblem Heroes Coming Soon! + New Bound Hero Battle! Recently, Dragalia Lost released a new episode of Dragalia Digest (their own version of Heroes’ Feh Channel). While the video explains what is coming up for their players as part of its 6-month anniversary and gives details on the upcoming update, the final ~24 seconds of the 5 and a half minutes-long video teased that a Dragalia Lost × Fire Emblem Heroes collaboration is coming soon! You can watch the Dragalia Digest video here. No further details were revealed, but we’ll be posting information in future updates when they come. If you’re like me and play both Heroes and Dragalia, this is something to look forward to in Dragalia. Save your Wyrmite! 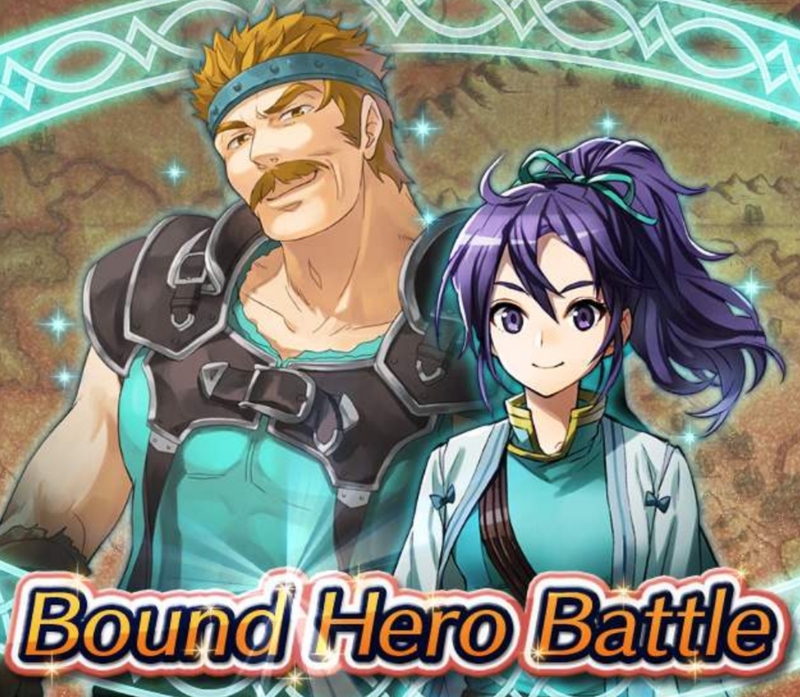 Back to the news within Heroes: Today we see the release of a new Bound Hero Battle: Bartre & Fir! The challenge is available in 3 difficulties: Hard, Lunatic and Infernal. You can earn up to 9 Orbs for completing all difficulties. The BHB is available from today, and will close out on the 3rd of April, 6:59am UTC. Accompanying every new Bound Hero Battle is a banner. 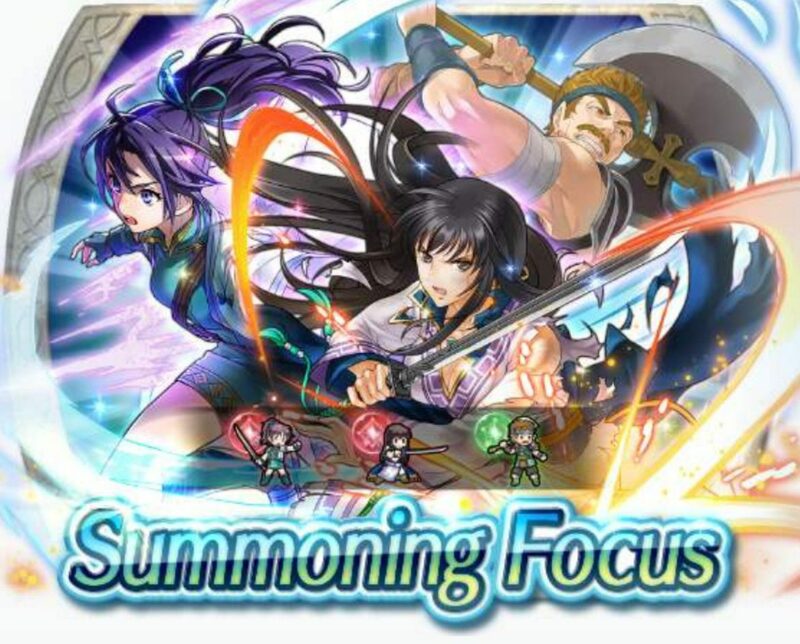 The banner features Bartre, Fir, and Karla.The banner ends on the 3rd of April, 6:59am UTC. A family reunion of sorts, ignoring the age gap between the two lovers, of course. When will we see Blazing Sword’s younger and dumber Bartre in Heroes?